This Android Toy Double Double Hamburger is coming soon! He is part of the Android Series 4 Toy series and this sneak peek was just released today by designer Scott Tolleson. Is your little one an aspiring grill cook? Let them put together a backyard BBQ meal with this kit that includes all the fixings they need to make great burgers and hot dogs. 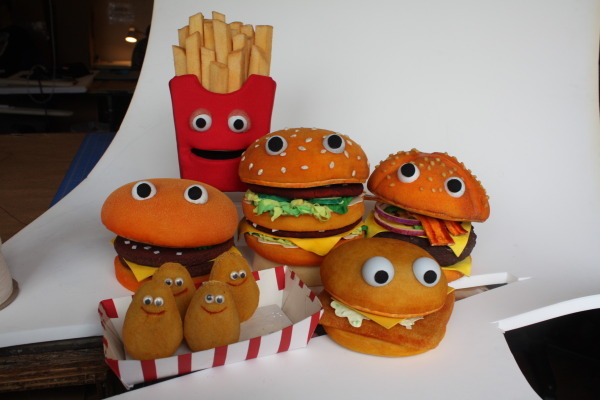 The kit includes two hamburger buns (cut in halves: two tops and two bottoms), two hot dog buns, four pieces of felt lettuce, two pieces of felt cheese, two burger patties, two hot dog franks and two wooden slices of tomato. 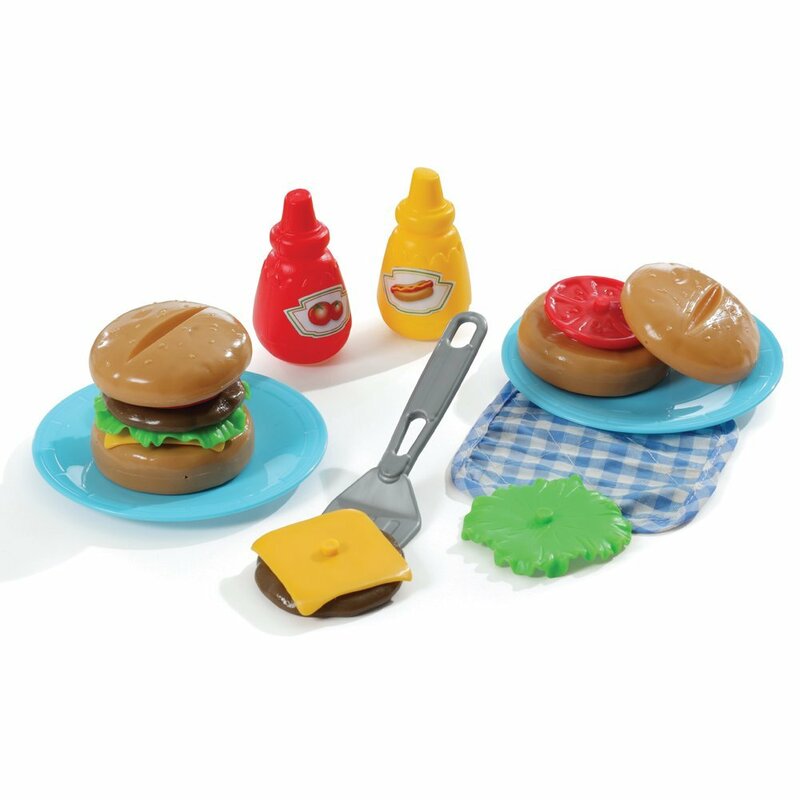 These are sure to make your little chef’s customers hungry for the real thing. For ages three and up. Durable child safe paint finish and solid wood construction are hallmarks of Hape toys. Hape’s toys stimulate children through every stage of development and help nurture and develop their natural abilities. All Hape products sold in North America meet or exceed all applicable safety standards. 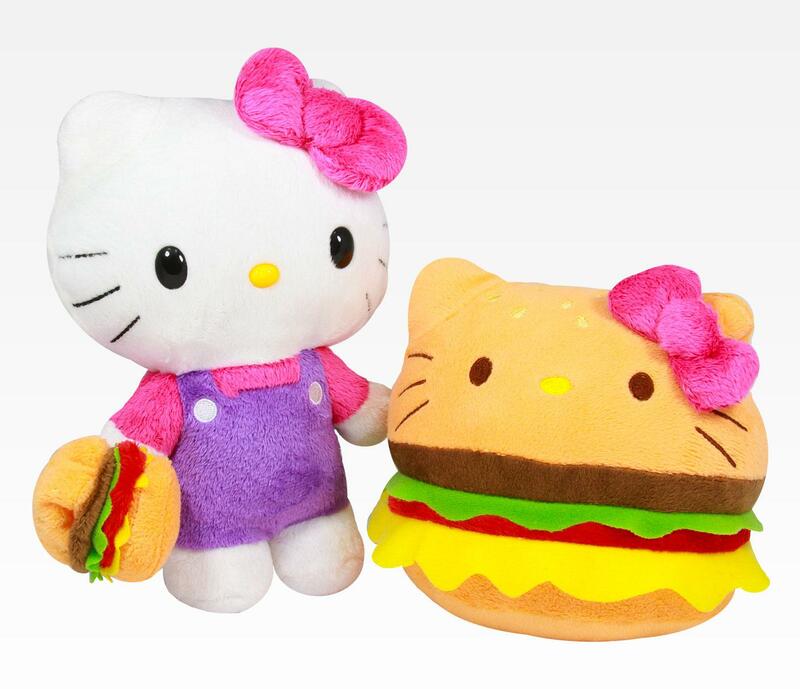 Another great toy for the kiddies, this plush Hello Kitty holding a hamburger transforms into a Hello Kitty burger. 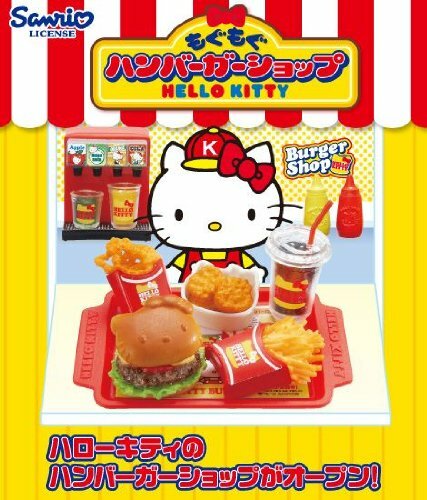 Check out these Hello Kitty Burger Shop mini toy kits from Japan. There are 8 different sets to collect, blind boxed, guaranteed to surprise the kiddies.